A lovely example. Priced to sell due to the most minor imperfections. 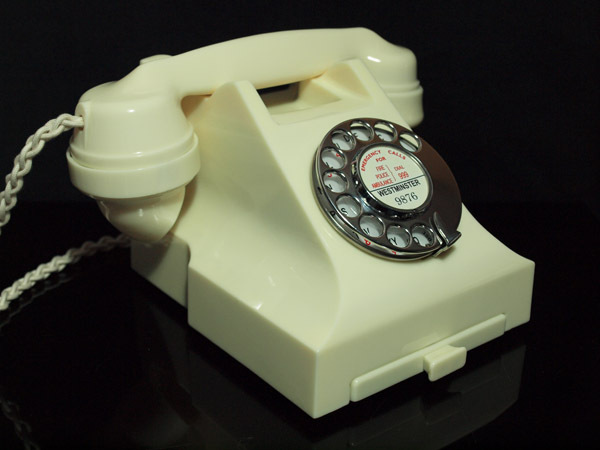 As you can see this is a wonderful GPO 332L with drawer dated 1955 on the handset and 1956. 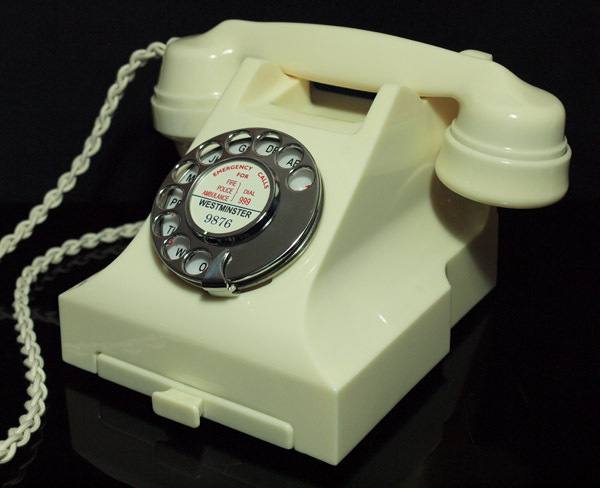 The dial is a GPO No 10 and not a cheaper more modern 1980s type as seen on so many dealer telephones of this period. It has been totally stripped down and rebuilt after each part has been cleaned and polished. The colour is a beautiful even cream with no parts that mismatch in colour. 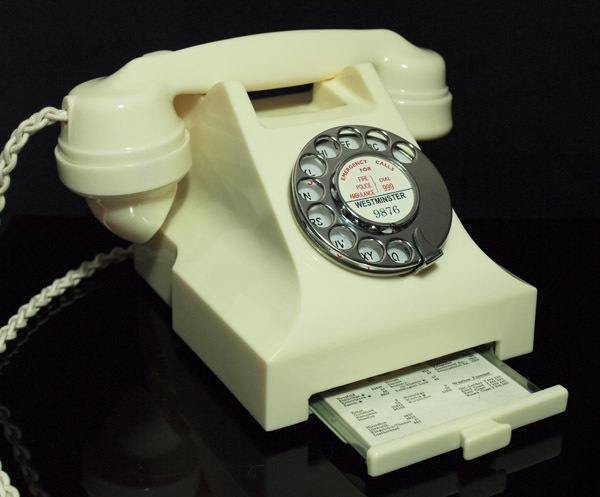 It has been fully tested to both dial out and receive perfectly is fitted with an electronic microphone, a very best quality hand plaited braided handset cord and a GPO specification round plastic line in with a UK telephone plug. It is ready to simply plug in and go. I sell this model at £395 if perfect but has been discounted due to some very minor crazing around the right rear handset rest and between the front rests rests. This cannot be seen in normal light conditions and even then you would need to be looking for it. There is no way of photographing it as it will not show up. 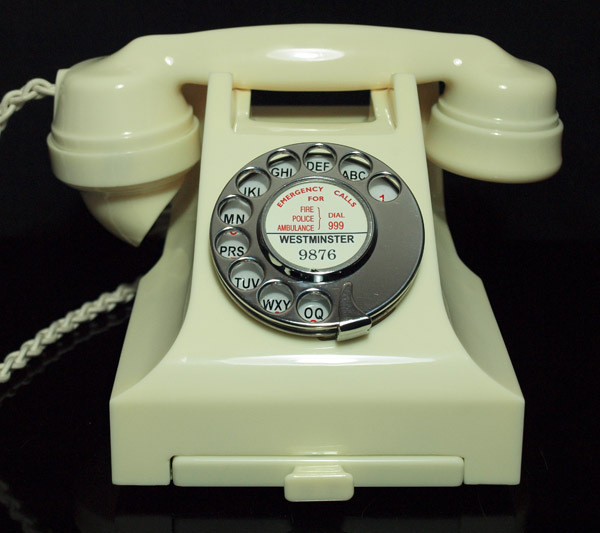 I can make dial label with your information at no extra cost.